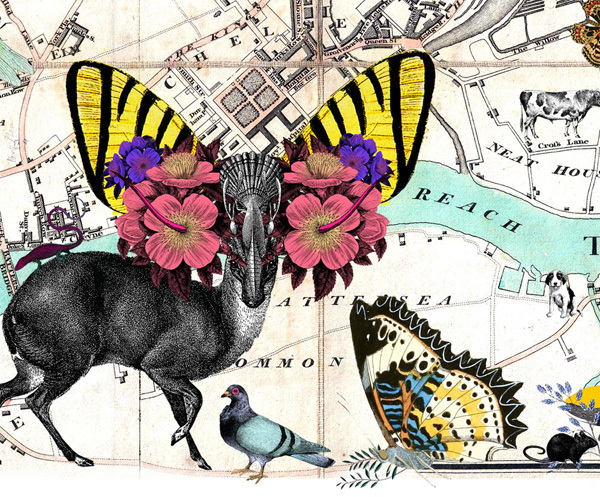 The latest from London-based editor and resident zoologist, Justine Aw as we begin our coverage of London Design Festival 2012. 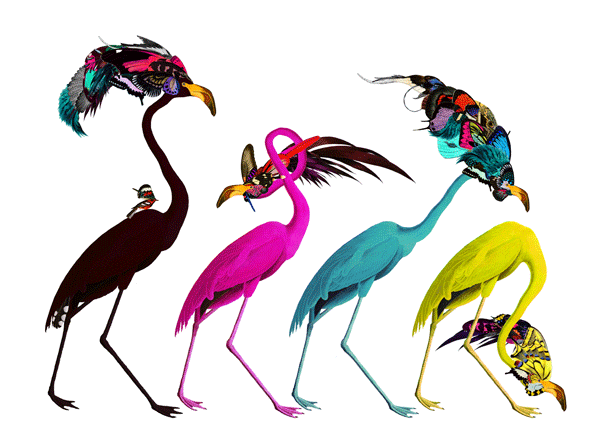 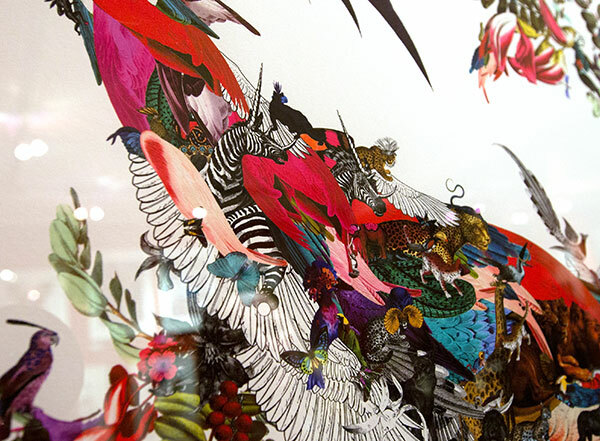 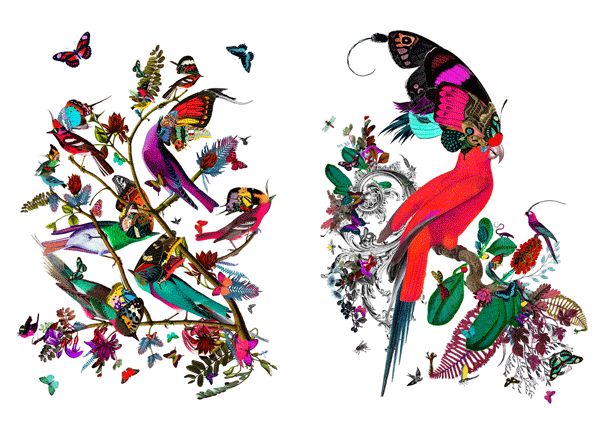 To kick off London Design Festival 2012 we caught up with the talented natural history inspired illustrator Kristjana S Williams, whom we featured earlier for her work with Zubrowka. 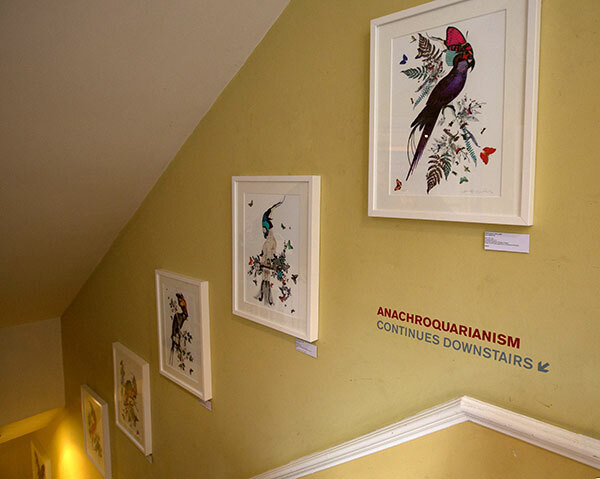 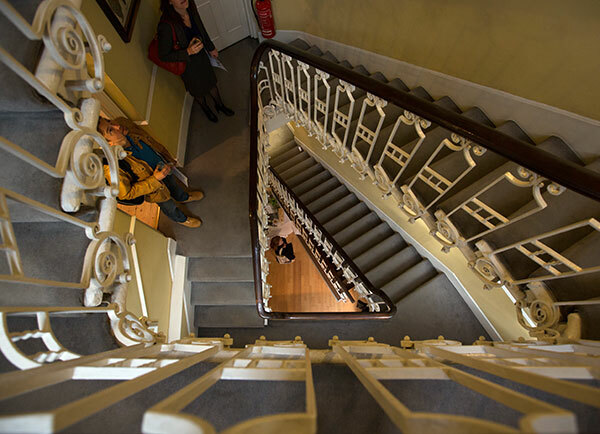 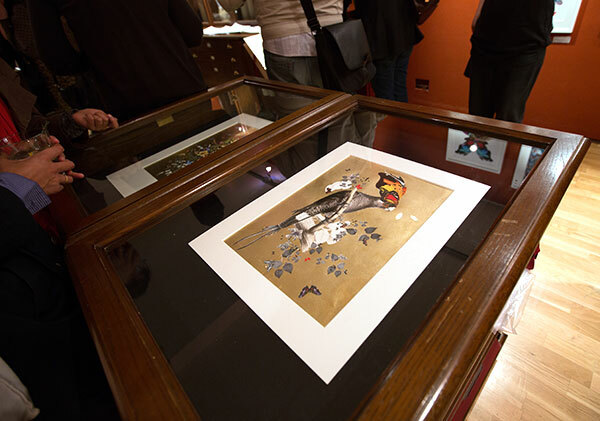 Her latest exhibition, Anachroquarianism, is housed in the gorgeous Shapero Rare Books, a gem of a store specializing in antiquarian prints, rare books and other treasures located on Saint George Street just off Hanover Square. 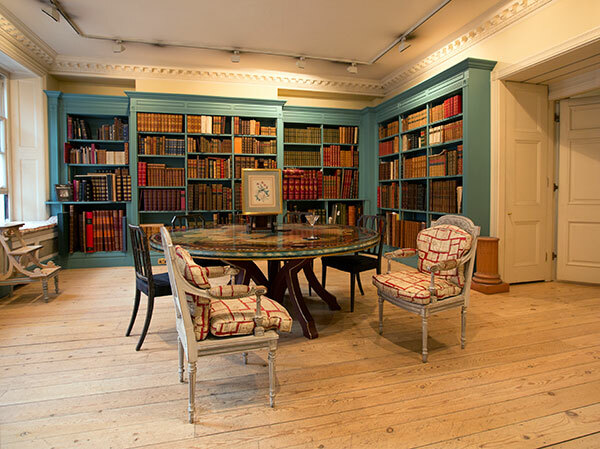 We loved the bookshop setting and the way Williams’ beautiful illustrations worked with the backdrop of antiquarian collectibles and natural history prints and illustrations from the 19th century. 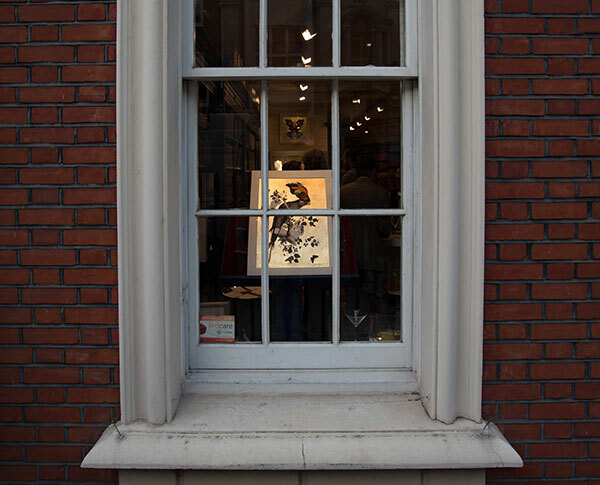 The exhibition opened to the public on September 14th and will run until the 22nd as a part of the London Design Festival 2012 and Williams’ limited editions prints will be available both at the exhibition and online from Outline Editions. 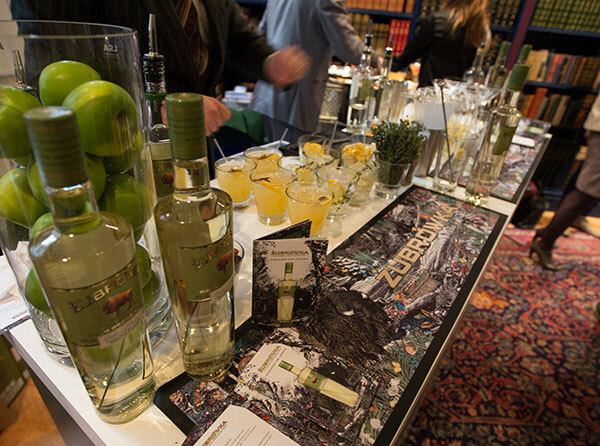 See more photos of the press preview and some of our favorite pieces next page! 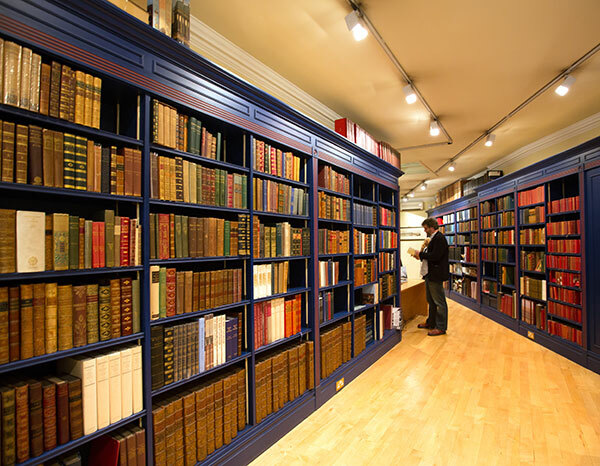 Shapero Rare Books, a gem of a store specializing in antiquarian prints, rare books and other treasures located on Saint George Street. 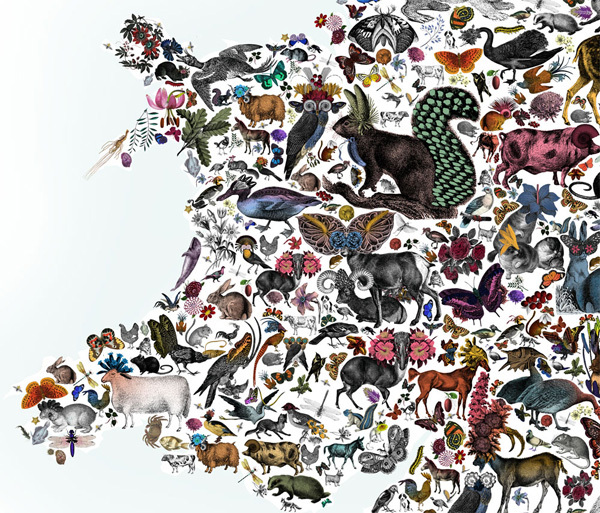 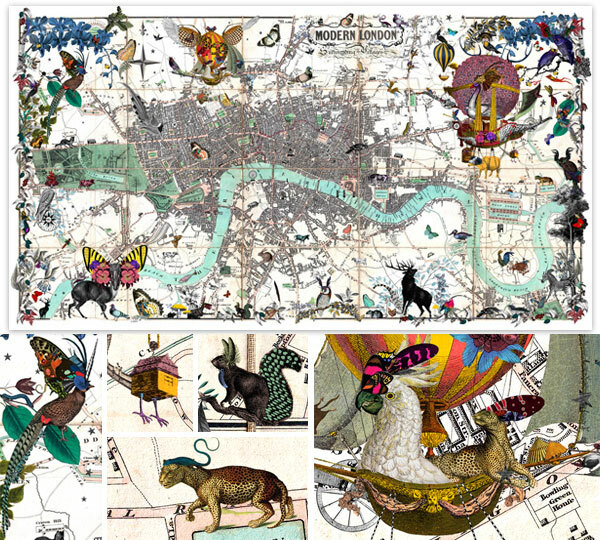 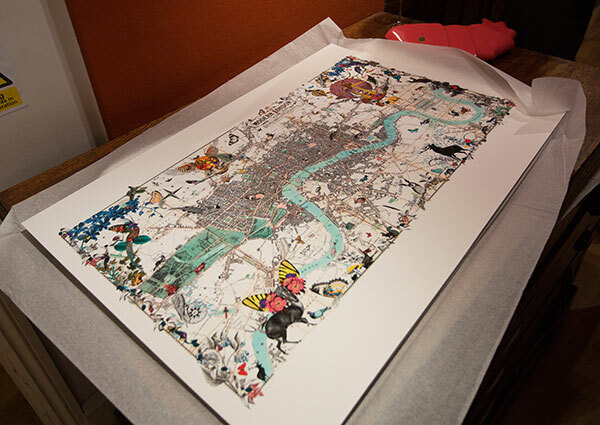 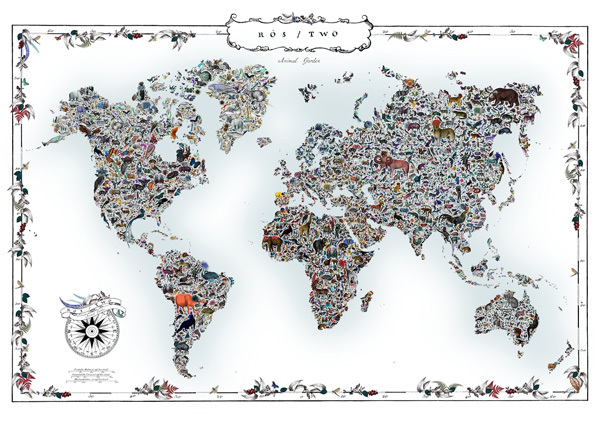 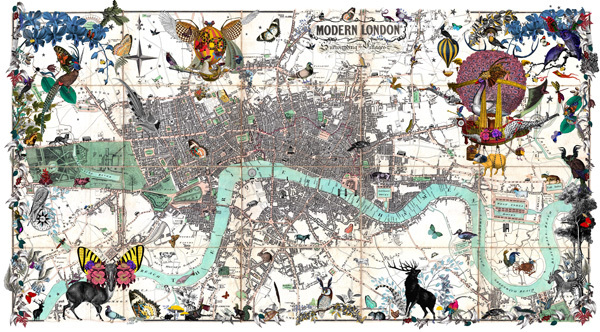 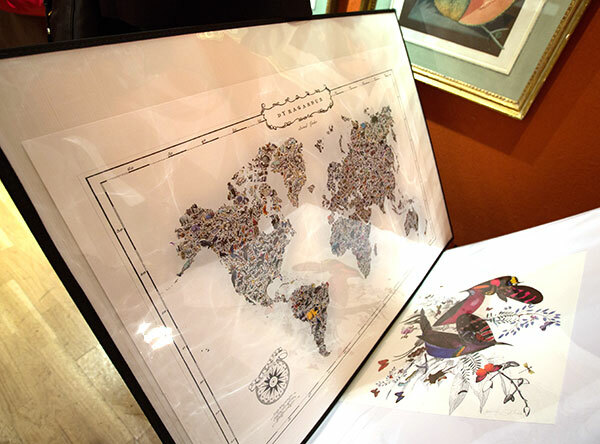 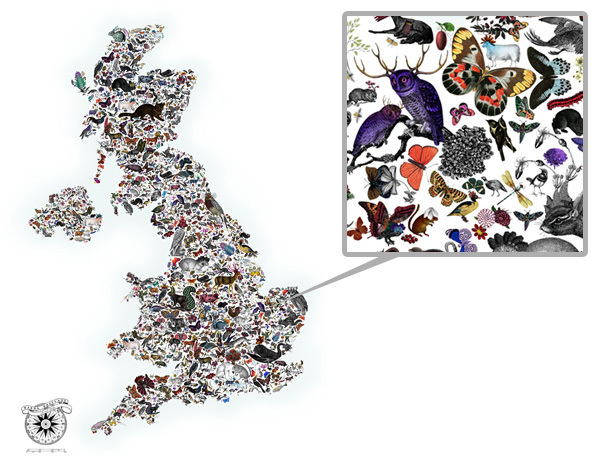 Lundunar Kort, a beautiful piece with lovely illustrations overlaid over a map of London. 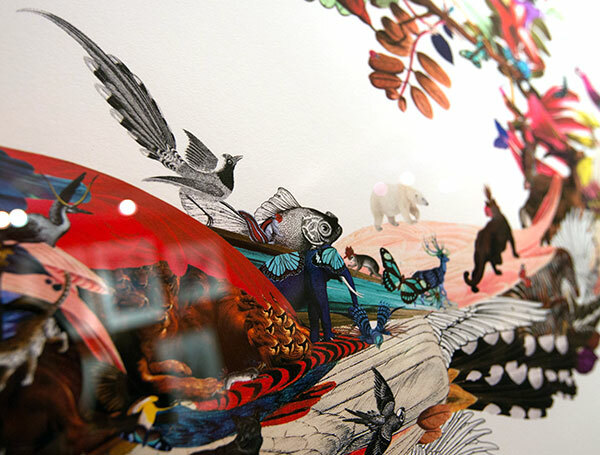 A closeup of the detail from Lundunar Kort. 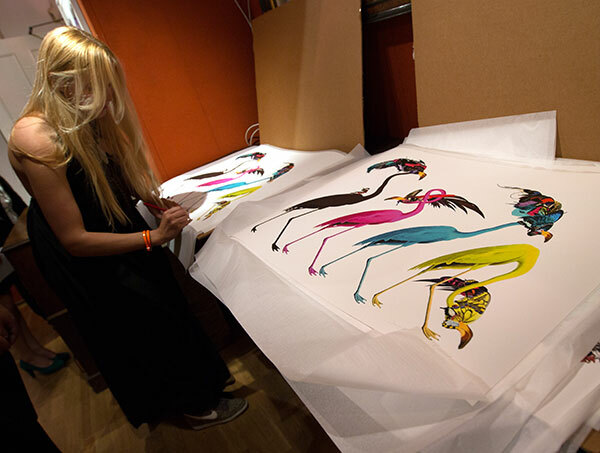 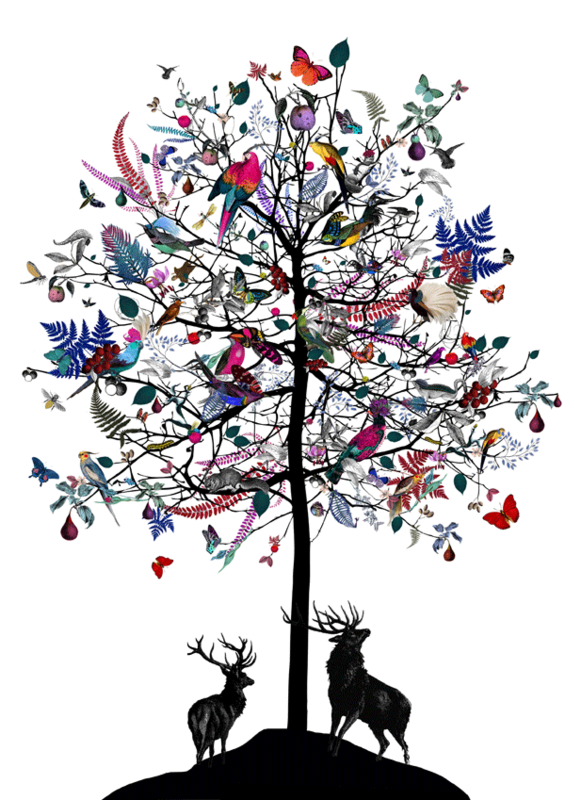 The limited edition prints are available at the exhibition and online from Outline Editions. 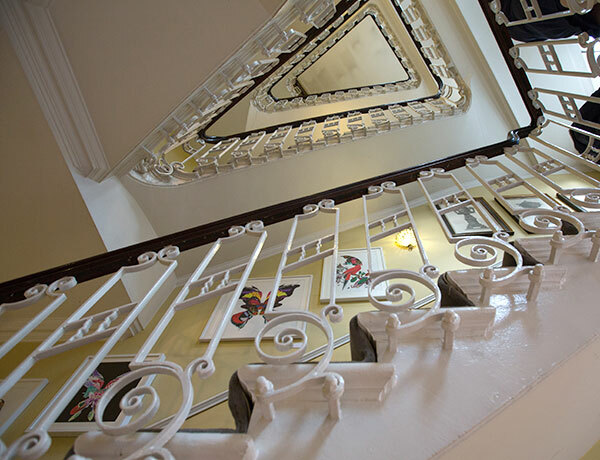 Gaeda Bretland showing some of the beautiful details! 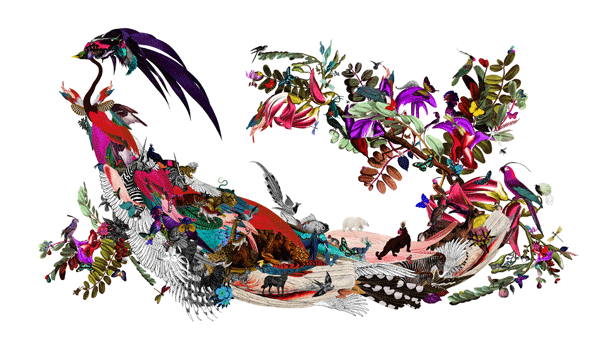 More details from Gaeda Bretland. 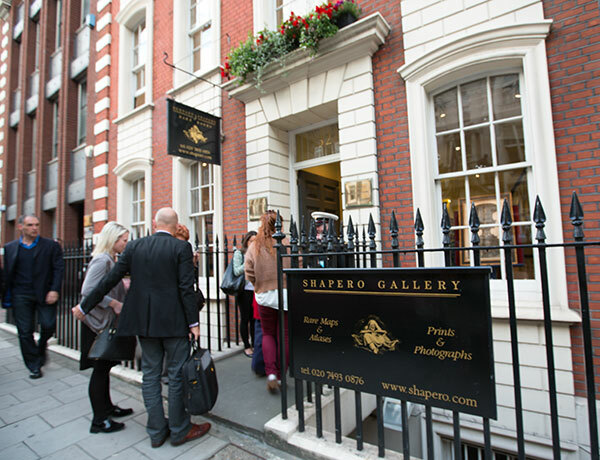 Shapero Rare Books made a gorgeous exhibition venue for the exhibition and houses an impressive collection of rare books and prints. 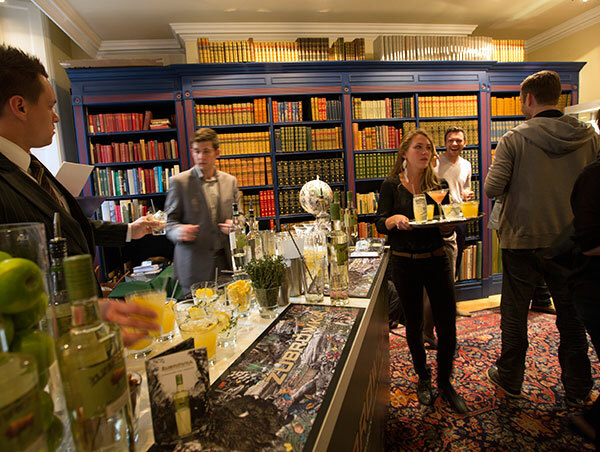 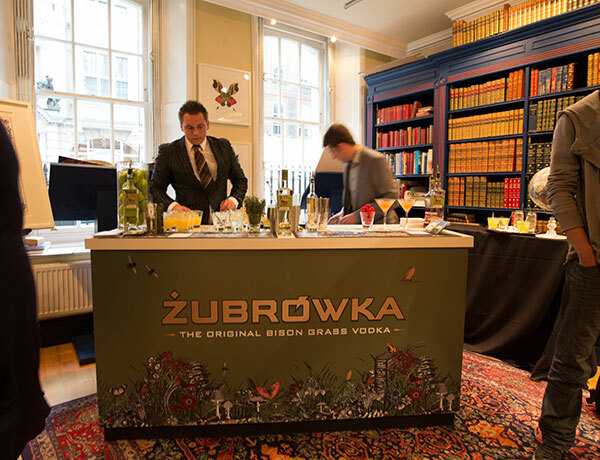 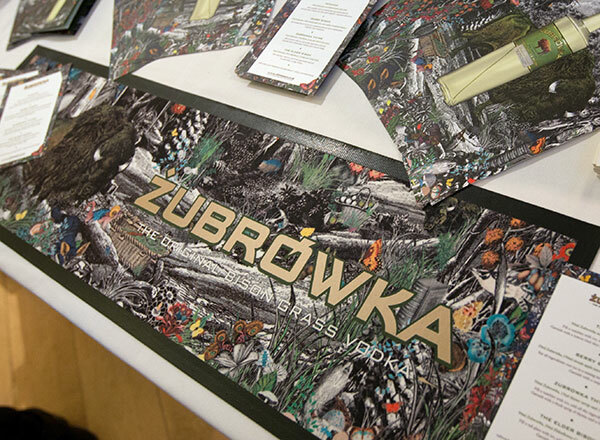 The event also showcased Williams’ work for Zubrowka.